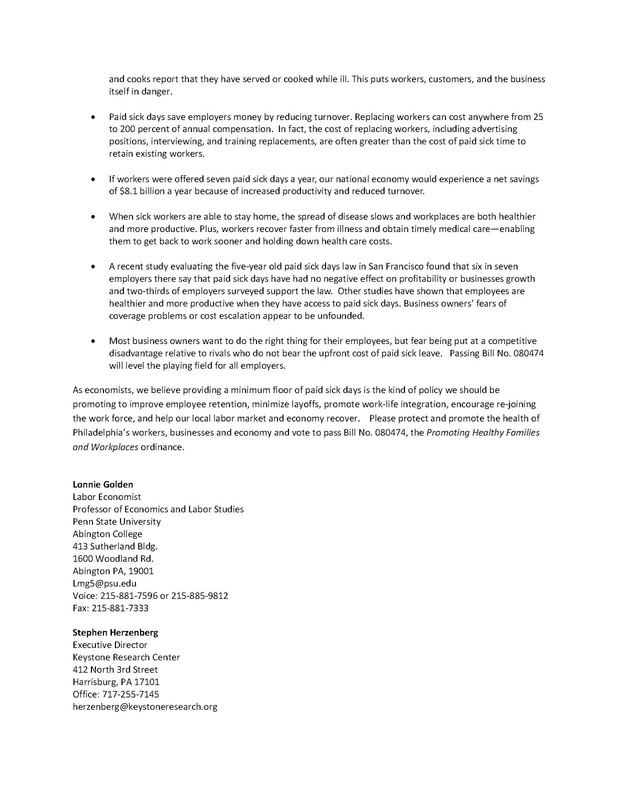 Philadelphia -- In an open letter to Philadelphia City Council, a group of Pennsylvania economists make the case to Philadelphia lawmakers that "providing a minimum floor of paid sick days is the kind of policy we should be promoting to improve employee retention, minimize layoffs, promote work-life integration, encourage re-joining the work force, and help our local labor market and economy recover." The letter (attached/below) was crafted by respected economists and labor experts that include: Lonnie Golden, Stephen Herzenberg, Ebru Konger, Mark Price, David Ross, Benjamin Kohl, Roger Even Bove and Sanford Shram. 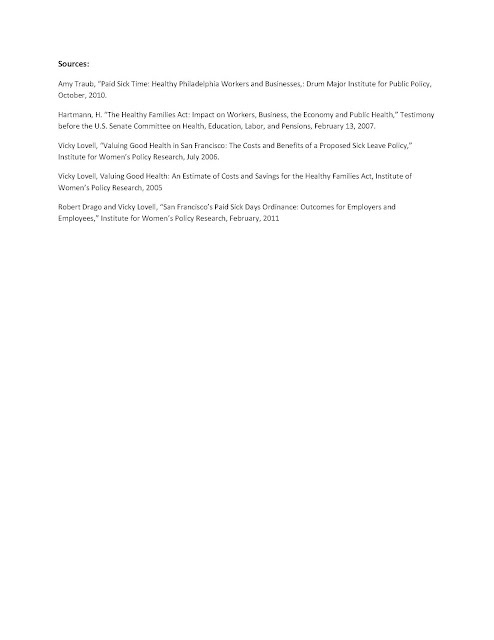 The economists strongly urge Council to "protect and promote the health of Philadelphia’s workers, businesses and economy and vote to pass Bill No. 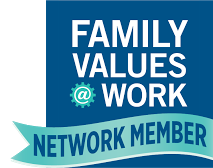 080474, the Promoting Healthy Families and Workplaces ordinance." 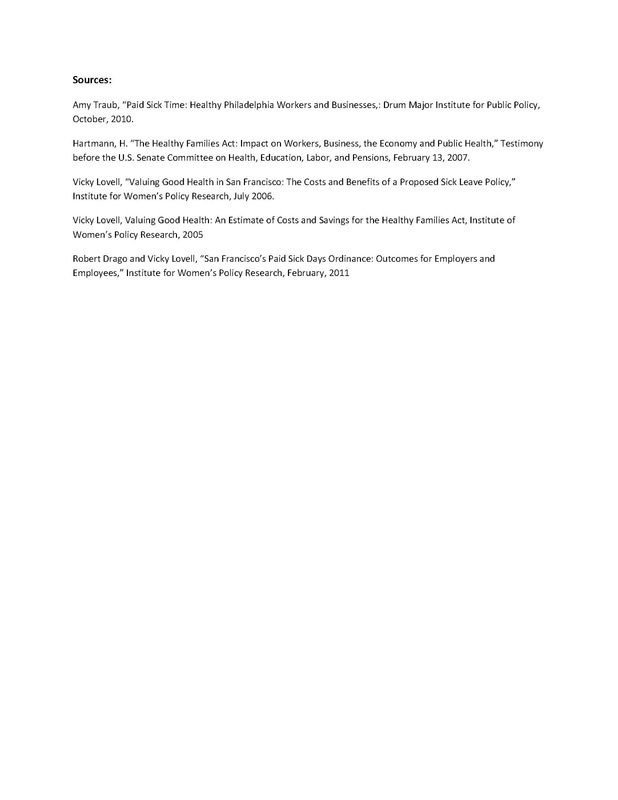 In addition to pointing out some of the most important benefits of earned sick days (public health, preventable firings, presenteeism, reduced turnover and increased productivity) , the Pennsylvania and Philadelphia Area economists cite a February study evaluating the five-year old paid sick days law in San Francisco that " found that six in seven employers there say that paid sick days have had no negative effect on profitability or businesses growth and two-thirds of employers surveyed support the law. Other studies have shown that employees are healthier and more productive when they have access to paid sick days. Business owners’ fears of coverage problems or cost escalation appear to be unfounded." These unfounded fears were further debunked earlier this month when the accounting firm PriceWaterhouseCoopers (PWC) produced a new report analyzing the world’s best cities for business and named San Francisco the third best city for business and innovation globally. 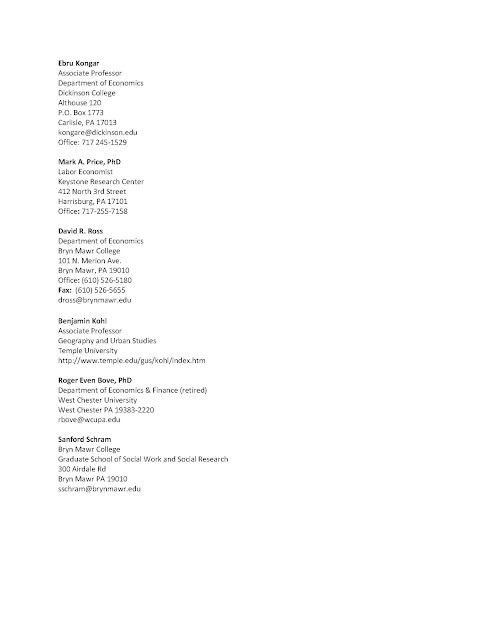 Dereck Thompson, Associate Editor of The Atlantic said, in a May 6, 2011, column, that among the surprises in the PWC report was the fact that " This is San Francisco's first year in the study and it finished third overall, beating London, Paris, Sydney and Tokyo. San Francisco is known as having more progressive social policies like paid sick leave, but it really held its own as a business center that attracts entrepreneurs." Promoting Healthy Families and Workplaces Act (Bill 080474) is a bill that would allow Philadelphia workers the opportunity to earn up to 7 days of sick time per year. 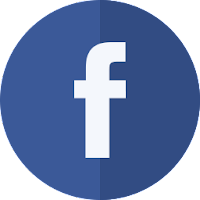 It was voted out of the Public Health and Human Services Committee on March 1, 2011. 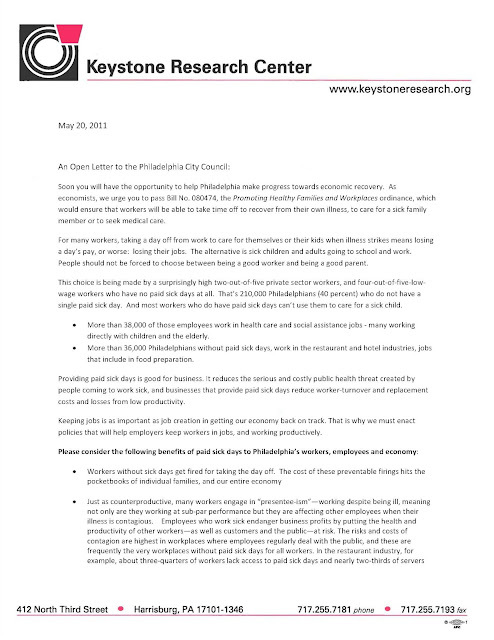 The bill could affect up to 200,000 workers in Philadelphia who do not have access to paid sick days.